If you happened to turn on your television today, you could not avoid the onslaught of media coverage that now (unfortunately) defines American politics. At lunch, I overheard a man muttering on about communism, while the media channels featured an inventory of political analysts who wasted no time appearing on various shows spouting diatribes about the ruin or resuscitation of our country. I am, by no means, attempting to place a prominent religious figure in this prayground brawl, but wish to illustrate the preceptiveness of C.S. Lewis’s remarks, showing how the issues he highlighted are as relevant today (if not moreso) than in his time. I feel greatly obliged to the Prime Minister, and so far as my personal feelings are concerned this honour would be highly agreeable. There are always however knaves who say, and fools who believe, that my religious writings are all covert anti-Leftist propaganda, and my apprearance in the Honors List would of course strengthen their hands. It is therefore better than I should not appear there… (4 Dec. 1951). Lewis understood the burden of social expectations. More importantly for this post, this excerpt illustrates that Lewis was acutely aware of the political minefield and how actions can be misinterpreted as subtle endorsement for political agendas. Lewis was not a utopian. He understood the purpose of governing bodies. He stressed the necessity of governments in establishing order, for punishing criminals and maintaining a semblance of peace. Ultimately, man’s rule cannot usurp God’s rule, nor can man rule like God because God is the perfect head of the body (see I Corinthians 12 concerning the democracy of the Body of Christ). Lewis never considered himself a political expert. In his essay “Equality,” Lewis writes, “I don’t deserve a share in governing a hen-roost, much less a nation. Nor do most people – all the people who believe advertisements, and think in catchwords and spread rumors. The real reason for democracy is just the reverse. Mankind is so fallen that no man can be trusted with unchecked power over his fellows” (17). Lewis wisely did not outright criticize his government, nor the governments of other countries (with one particular exception for the Nazi government, but this is well-justified). Government is a necessary component of modern culture, but as my dissertation on Lewis’s leadership explored, Lewis exposed some of the common errors of governments, as well as the tempting mistress Power and her problematic offspring Pride (which Lewis examines more thoroughly in works like Mere Christianity). Lewis was rather forthcoming with his opinions on the role of government as “mothering” the people, although he was sure to camoflage it in fictional works such as The Chronicles of Narnia, The Screwtape Letters and That Hideous Strength. Most of his opinions are buried deeply and subtley in his Collected Letters. The government’s role as “parent” reduces men to wards while convincing him that simplicity prevents a full understanding of complex legislation. Of course, this provides the so-called government an opportunity to run amok while the people shrug their shoulders in apathy and ignorance. In a letter to Vera Gebbert dated 28 July 1952, Lewis refers to the Welfare State as “The Farewell State” as it disposes of individual independence. 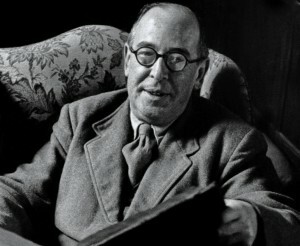 Lewis publically lauded Orwell’s politcal allegory Animal Farm. Power in the hands of fallen men is chaos. “Fallen,” mind you, is a term for our propensity for sin, not a particular political persuasion. History proves men’s fallacy time and time again. The goverment can alleviate, but never eradicate all issues, be they novel or perennial. In fact, a government can often create issues itself. Must we seek dependency from our government like we do our God? Are we too content with the breastmilk of Lady Liberty to ask for solid food (“Lady Liberty” is quite an ironic title for a State which requires utmost loyalty and dependency)? So we return to the current legislation. Lewis himself benefitted from English healthcare, so by his own admission he cannot criticize a system from which he (and his family including his ailing wife Joy) received so much assistance. The deeper question is, “How much is too much?” What amount of governmental intercession is too intrusive? How much is adequate? Such a determination is perhaps subjective. Most would agree that the government should help those who truly require assistance, but even Lewis dares to inquire, “Is there any possibility of getting the super Welfare State’s honey and avoiding the sting?” (515). The great thing, as you have obviously seen…is to live from day to day and hour to hour not adding the past or future to the present. As one lived in the Front Line ‘They’re not shelling us at the moment, and it’s not raining, and the rations have come up, so let’s enjoy ourselves.’ In fact, as Our Lord said, “Sufficient unto the day’. Praying for our leaders, instead of grumbling, is our first job as citizens. Lewis admits in a letter he prayed often for his leaders, even leaders of enemy camps such as Hitler and Mussolini. Complaining is far easier, but far less effective. American politics is one of great dramatic twists and turns, more of what appears to be playacting than policymaking. But let us not confuse reality for a pantomine. Policies made today affect our lives and the lives of our children. Perhaps we will always make a pageantry of our politics, but let us never forget the significance of their impact. In America, we enjoy the consititutional freedoms of stating our opinions. We may always disagree on various policies, but we must never let the disagreement injure the tapestry which characterizes our nation. Perhaps our desire to state our case, no matter the reception, is something which ironically unites us as a nation. Sometimes we actually encourage the drama further, as an audience member yells from his seat to the actors onstage. Does anyone in America understand American politics? Certainly no one over here can make out what is happening, in spite of numerous inspired articles by so called experts…I thought I was going to learn something from an old lady in Connecticut [Mrs. Frank Jones] the other day, but at the end of eight pages so hot that they nearly burnt my fingers, all I could gather was that the ‘Dumbocrats’ as she called them, are a sort of mixture of Hitler, the Russian secret police, and the inmates of the village lunatic asylum: but no doubt this view is a little prejudiced. Very good! I quoted you on facebook. I am on page 1105 or his letters. It is a long read.